One of the key factors in determining the collectibility and value of an illustrated children's picturebook is the ‘eminence' of the illustrator, i.e. their standing as a collectible illustrator of children's picturebooks (not their prominence in society in general). One of the most important factors to an artist's eminence as a collectible children's illustrator is their longevity as an illustrator, the years as a published picturebook illustrator. The longer an illustrator has been creating illustrated books, the larger their eminence, and in turn, the more collectible their books become. An illustrator with books published for forty years has more eminence than one with books published for only ten years, all other things being equal. This does not necessarily mean that one illustrator's books are more collectible than another's simply because of their longevity in the business, since the other factors affecting an illustrator's eminence must be taken into consideration, such as general popularity, productivity, and illustration awards. Another impact of longevity is the earlier an individual book is published in an illustrators' career, the higher the collectibility and value of a book, all other things being equal. This is especially true of the first book by a long-standing illustrator. In sports card collecting, this first instance is referred to as the player's ‘rookie card' and is nearly always the most valuable card for a particular player. Similarly, in comic book collecting, the first issue of a series is usually the most valuable. In our opinion, the current state of the collectible children's picturebook market does not place enough emphasis on the first book by a celebrated illustrator. This effect of higher value on ‘earliest publishing date' does not hold true when other factors come into play. Examples of this are when a book published later wins an industry award or introduces a franchise character. Either of these are collectibility enhancing factors that will increase demand for the first edition of the particular book as compared to books published earlier in an artist's career. Productivity refers to the number of different books the artist has illustrated. In general, the greater the number of books the artist has had published, the higher the eminence and collectibility of the illustrator. Longevity and productivity would seem to go hand in hand, but that's not always the case. There are many instances of relatively new children's book illustrators with a high number of books published, more than one per year, just as there are plenty of illustrators who have been in the business for 30+ years who have not published as many as one book per year. Steven Kellogg and Mercer Mayer come quickly to mind as two illustrators who are very productive, often having published more than one book per year. Both longevity and productivity increases the collectibility of an illustrator's particular books, and obviously are a result of the success of their books in the children's picturebook market. The general popularity of an illustrator is based upon how many copies of the illustrator's books have been sold over time. Obviously, quality artwork, along with productivity and longevity in the industry, contribute to the number of books an artist has illustrated, which in turn directly affects how many copies of their books have been purchased by readers. It makes common sense that the more popular an illustrator is, the more collectible their books become. This is especially important since the children's picturebook hobby tends to be more demand driven than supply driven. It is imperative that the collector understand this key point—scarcity of supply does not drive collectibility and value nearly as much as popularity of the demand for a particular book! As an example of this, according to Random House, over 400 million Dr. Seuss books have been sold worldwide, and first print runs were relatively high owing to the expected popularity of the books. 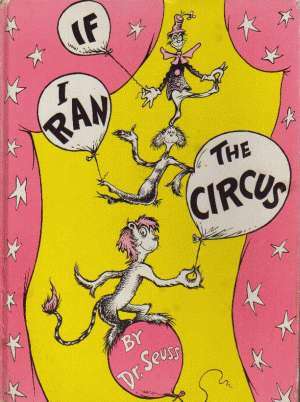 Yet even with this high supply, first edition Dr. Seuss books command very high prices, routinely fetching several hundreds of dollars, and for the highly popular titles, several thousands of dollars. It is the high demand for the book that fuels the high prices, not necessarily the absolute scarcity of supply. Another aspect is that a single hugely successful book will favorably enhance the collectibility of an illustrator's other books. An example of this is David Christiana's illustrations for Disney's Fairy Dust and the Quest for the Egg (2005), written by Newbery award winning author Gail Carson Levine. Christiana is one of our favorite children's book illustrators, yet his books have been generally underappreciated by the book collecting hobby. It is doubtful that Fairy Dust will have the opportunity to appreciate much in value due to the high number of first print copies, however Christiana's other works will benefit from the popularity of this book and its upcoming sequels. The number and caliber of awards that an illustrator or their books have received is another key factor of their eminence within the industry. Whereas the aesthetic quality of picturebook illustrations is a singularly personal affair (i.e. only you know what you like), awards are a validation of the quality of the illustrations by others within the children's book industry. Does this mean that a book or its illustrator needs to have received an award to make it collectible? Absolutely not. But, awards do increase the eminence of the artist. In earning these awards, the eminence of the illustrator is increased, subsequently the collectibility and value of their other books is increased. d) many of these people will want to add these books to their collection. Since the demand for first edition copies of David Small's books will increase over time, while the supply of them remains fixed, the collectibility and value will be enhanced. Maurice Sendak and Marcia Brown are other examples of illustrators with higher eminence due in part to the number of children's book illustration awards that they and their books have earned over the years. See major children's book illustration awards, and the impact on the collectibility and value of the particular book that won the award. The eminence of an illustrator is a combination of many things, all of which are additive over time. Probably the most popular illustrator is Theodor Geisel, a.k.a. Dr. Seuss, and no wonder. He wrote and illustrated 40 children's books over a 50 year span (longevity and productivity); he won several Caldecott awards—and a Pulitzer prize (awards); his books have been made into movies and TV programs; his books have sold hundreds of millions of copies worldwide; and his books crossed over into mainstream public education, forever changing the way children learn to read (popularity). Other illustrators of high eminence, again, in a collecting sense, are Maurice Sendak, Tasha Tudor, Wanda Gag, Barbara Cooney, Tomie dePaola, Trina Schart Hyman, Chris Van Allsburg, and Rosemary Wells to name just a few. The collectible contemporary children's book market is evolving and maturing, although the hobby has not yet reached adolescence. The factors that affect a book's value and collectibility are not solidified within the hobby. The current state is Caldecott and Seuss-centric, synchronous with 'mainstream' collectible books, in that every bookseller KNOWS they have value. However I believe the hobby will mature into something significantly different. With this in mind, we've identified six factors which affect the collectibility and value of a contemporary children's picturebook. The six factors are a starting point for dialogue within the hobby, which will create some controversy and discourse. Over time, this collaborative tension will lead to evaluation and evolution of the factors generally accepted to affect a book's value and collectibility. Eventually these factors will become solidified within the hobby. The six factors are intimately connected, so it is difficult to individually describe one without intermingling the description with the other factors. One factor will invariably impact other factors. Not one to retreat from a challenge, we will try nonetheless. 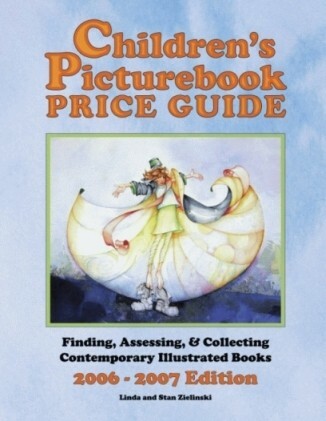 Stan Zielinski, author of the Children's Picturebook Price Guide, is a serious collector having fun with fun books. The information offered on the website and blog is offered free of charge. Any uses, references, and or copies of this website in whole or in part must include the bibliographic citation, including author attribution, article title, date (where applicable) and the URL http://1stedition.net and MUST include a copy of the copyright notice. In layman's terms, that means you may excerpt, share, and use this material as long as you credit Stan Zielinski as the author, provide a link back to the specific content page and do not sell it or use it for commercial purposes.